Greetings from the World Clown Association! Summer is in full swing and I hope you are as BUSY as me with bookings! Lots of corporate events, company picnics, fairs and festivals. For those who live within the USA, don't forget that WCA offers a premier performers insurance package for only $155 per year. This insurance runs 12 months from the date of purchase so you can add it to your account at any time. This insurance also covers you working Internationally. Additional insured certificates are available at no additional cost. Assistants are covered as not additional cost as well. I wanted to expand on how to sign into the website. 3) Click on "Forgot Password"
The system will email you a temporary password to use in about 10min. 6) Click on "profile" and you should be able to reset the password to something easily remember. 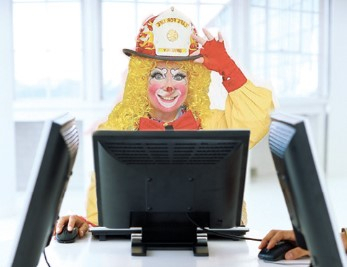 me@andytheclown.co.uk who is tasked with putting together a slate of potential officers for the next election. Thank your membership in this great clowning organization! As always, if you have questions, suggestions or concerns, please contact me. I would like to invite each of you to make a list of some things you would like to see in future years of WCA. These ideas can be as "pie-in-the-sky" as you want to make them because looking through the last 5 and 10-year plans made by WCA, we found that technology has increased so fast, in social media and communication ways, that many ideas that seemed “futuristic” when we did the last Long Range Plan are easily able to be accomplished at this time. We have been able to take many of those ideas and already incorporate them into WCA programs. 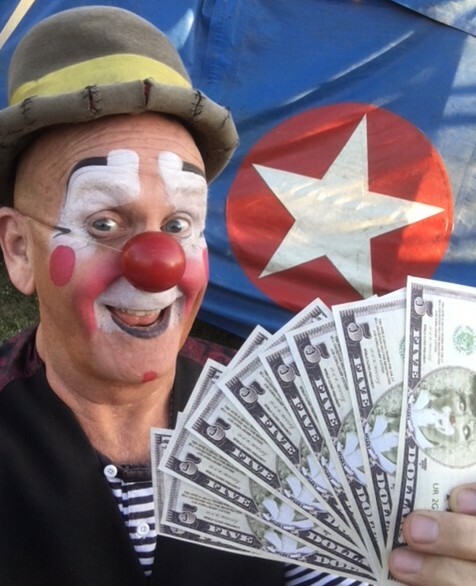 WANTED MOTIVATED INSTRUCTORS, LECTURERS AND VENDORS TO HELP GUIDE THE WCA INTO THE FUTURE OF CLOWNING!!! Do you have a fun, unique class the WCA Convention might like to offer? 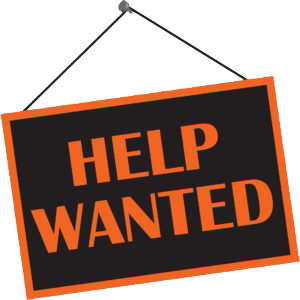 I’m looking for instructors with energy, knowledge, motivation and new ideas! Are you a vendor with new, improved items or something different? Do you have that one thing that every clown should have? Are you a classic vendor of clown accoutrements? This is my idea, and I hope we can find a way of trying to get this to work. We know we have a generation gap in our membership and we need to encourage the younger clowns to be a part of it and share in what we do. 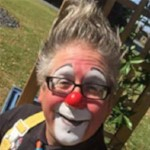 Here is something that should be considered; if they are to share in what we do, then we need to express an interest in what they are doing, how they are behaving, what style of clown they are enjoying and performing. We pride ourselves of the detail of our costume and precision of our makeup, along with the laughter and joys that it brings. The youth aren’t embracing the makeup and costume in the same way that we do, yet they are performing at colleges, youth circuses, schools, theatres and in the street. “Let’s invite them to our alleys to perform for us. Explain who the World Clown Association is, what our alleys are and how much fun that we have. In return for them performing for us, let’s perform for them and show what we do at festivals, carnivals, parades, birthdays, hospitals and schools. To do this you will need to research circus and clown classes that are happening, maybe contact local colleges and drama/theatre school and ask them to come to your next alley meeting. Embrace them in what they do. They are our future. Hopefully we can then spark their interest and they will return to your next alley meeting to learn and share more, maybe they will decide to join the WCA and take the magazine, and maybe even decide to come to the next WCA convention. This is not going to happen by itself. As clowns and as an alley, you’ll need to work together to formulate an action plan and start to reach out. When your successful, I know other clowns and members will be interested in your stories. So use Social Media, search the internet, ask friends and even scour local newspapers, radio and TV stations. I look forward to you making your first contact and helping others to learn about the future of clown. Well the simple answer is just in case. For the cost of just $155 you are covered for just about anything you would be liable for during your performance. All it takes is one small error to cost you thousands of dollars, but with the insurance we have you covered. An example is a few years ago there was a WCA member that caused a very small stain on a carpet during a party. The homeowner them demanded that the entire house be carpet cleaned so that all the carpets matched. Needless to say this cost more then the premium the member paid. The insurance company took care of it. The insurance has you covered just about any place in the world with the exceptions of Embargoed countries...ie North Korea. How about on a Cruise Ship? YES!!! What about my homeowners insurance? Often homeowners insurance does not provide coverage while conducting business. If you are relying on your homeowners insurance please check with your broker to make sure. Now that I have your attention. We are pleased to announce the WCA is offering a brand new promotion. We are now offering $5 credit for every member you refer to the WCA that signs up for membership. This can be used to offset convention registration. If your Alley has a New Members Class and they all join the WCA your Alley will get $5 for each. They can then be given to someone as a gift.